To save our customers money on shipping charges, we offer vacuum packing to reduce the overall size of the package. All shipping carriers will charge by actual weight or cubic inches of volume, whichever is GREATER. Sand tires are so large, that shipping carriers charge by "dimensional weight" instead of actual weight because the cubic volume of space that the sand tire uses is greater than the actual weight of the sand tire. 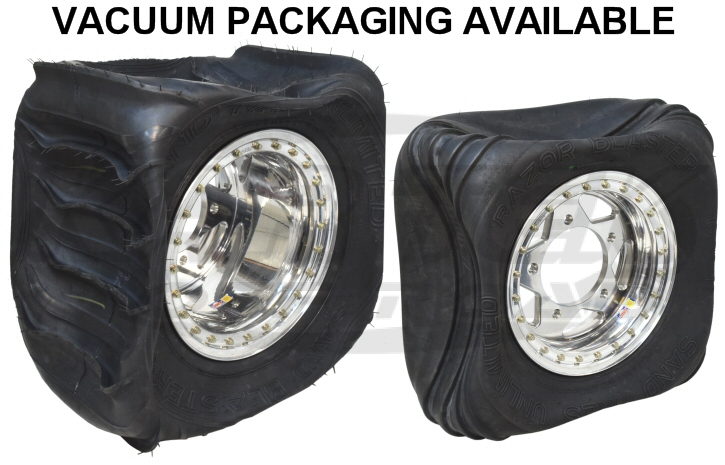 To solve this problem, when a customer purchases wheels, we can vacuum the tire down on the wheel so the shipping carrier will now charge by the actual weight of the package and greatly reduce the shipping cost.